Former newscaster and talk show host Jay Sonza recently took to Facebook in order to throw shots at Senator Antonio Trillanes IV who was recently stripped off his amnesty by Philippine President Duterte. Sonza accused Trillanes of not filing for his amnesty in the first place. He continues on to say that the defense department even said that they did not have any copy of the application that he filed. After the president accused of Trillanes of not filing for amnesty, Trillanes released a video of the date he went along with other Magdalo soldiers to file for the amnesty. 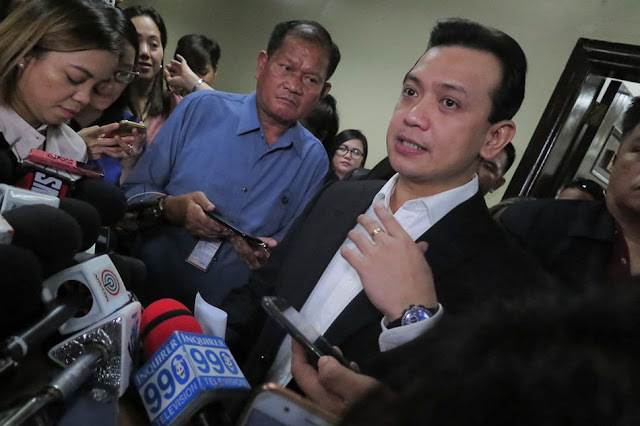 However, according to Sonza, since the defense department said that they did not have Trillanes’ file, it is the senator’s responsibility to produce his own personality and show it to the public. Sonza even went to the extent of saying that Trillanes was stupid and an idiot, unlike the general public. “YOU CAN FOOL THE (PAID AND NOT PAID) TRADITIONAL MEDIA AND YOURSELF, BUT YOU CANNOT FOOL US, THE FILIPINO PEOPLE,” said Sonza. He added that if Trillanes indeed have proof of his action of applying for amnesty, he should just go ahead and show the evidence. Ending his post, Sonza said that the proof Trillanes says he has he can use to prove Duterte wrong. If he cannot procure these documents, Sonza says then he should just face the courts. 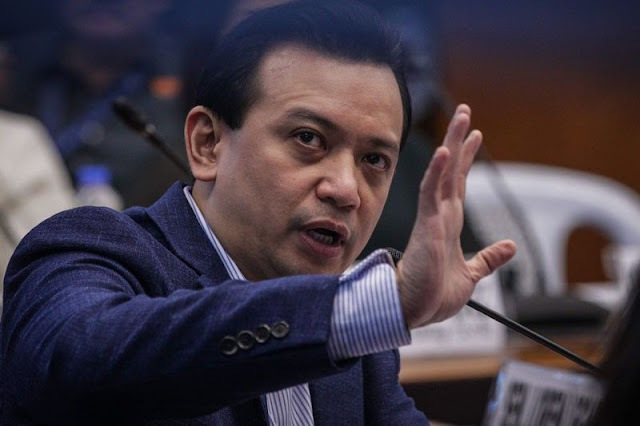 "The defense department says, Trillanes you have not filed application for amnesty, with a corresponding written admission of specific guilt. They have nothing in the record section, kaya wala silang kopya. Iyan nga ang basis ng voidance o pag-void ng amnesty mo from the very beginning o ab inito. Ang sabi mo mayroon at nag-file ka. eh, di ilabas mo iyong kopya mo na may received copy na tatak ng kung kalian natanggap, nino at anong oras. SOP iyan sa lahat ng may kaso, may kopya ang akusado at ang kanyang abogado. ngayon kung wala kang mai-produce o mailabas o wala kang kopya, eh, di wala nga. ang dami mong satsat Sonny. May certificate of amnesty ka pang sinasabi. may media admission ka pang tinutukoy. simple lang ang tanong - mayroon ka ba noong sinasabing kailangan tulad ng accomplished, received and written documents o WALA. Hindi bobo at tangang katulad mo ang taong bayan ngayon. YOU CAN FOOL THE (PAID AND NOT PAID) TRADITIONAL MEDIA AND YOURSELF, BUT YOU CANNOT FOOL US, THE FILIPINO PEOPLE. kUNG MAYROON KANG KATIBAYAN, EH DI MAGANDA AT MAPAPAHIYA SI PANGULONG DUTERTE. 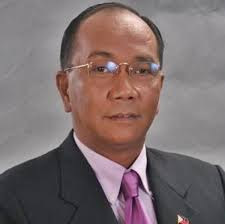 KUNG WALA NAMAN, EH, DI HARAPIN MO NG BUONG GITING ANG KASO AT KARAMPATANG PARUSANG KAAKIBAT NITO, MAGING ITO AY PAGKABILANGGO O DEATH BY FIRING SQUAD."